I have probably bought more makeup brushes from Real Techniques than any other brand, as they are excellent quality, have a great price point and often come out with new releases and styles. 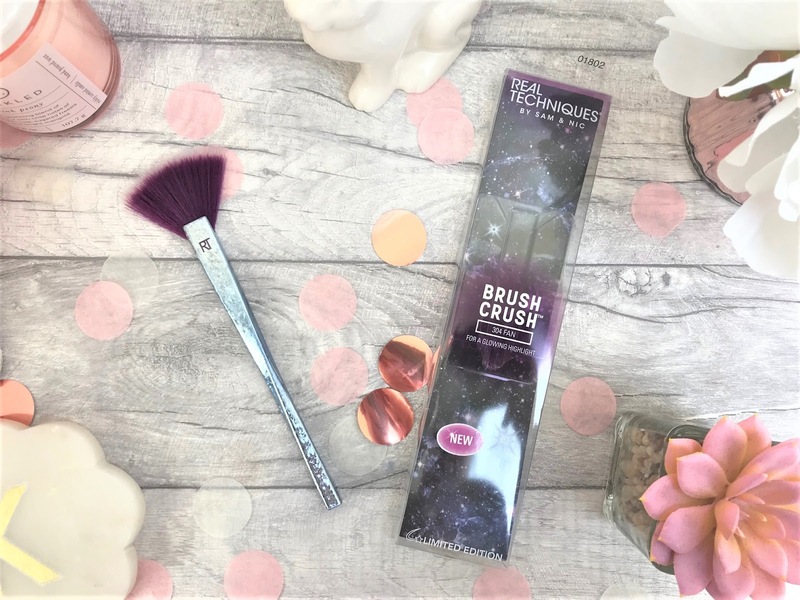 One of their most recent releases is the Brush Crush Volume 2 and I was kindly sent a few to try. 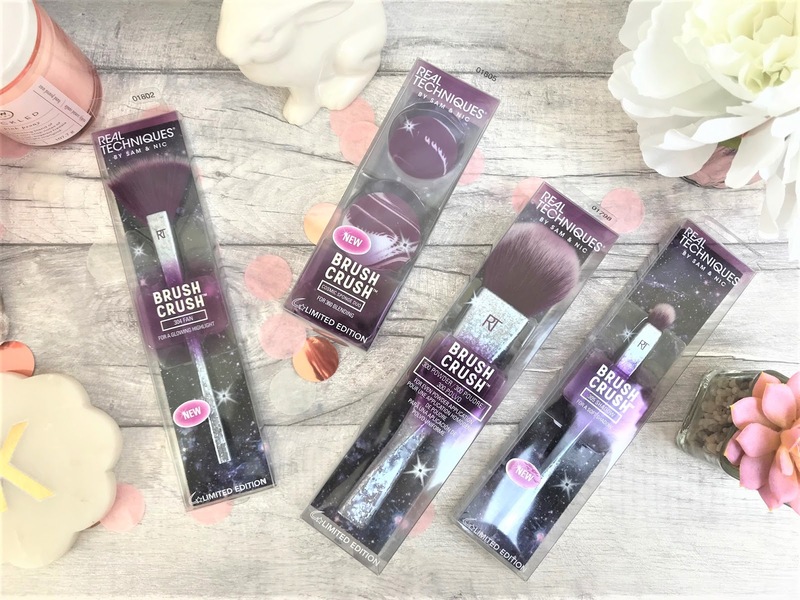 There is a total of six brushes and sponges in the collection, including a blush brush and a foundation brush as well as the four I have here, so if you are new to makeup, these make a great starting point, or if you are a makeup pro, they will make fabulous new additions. 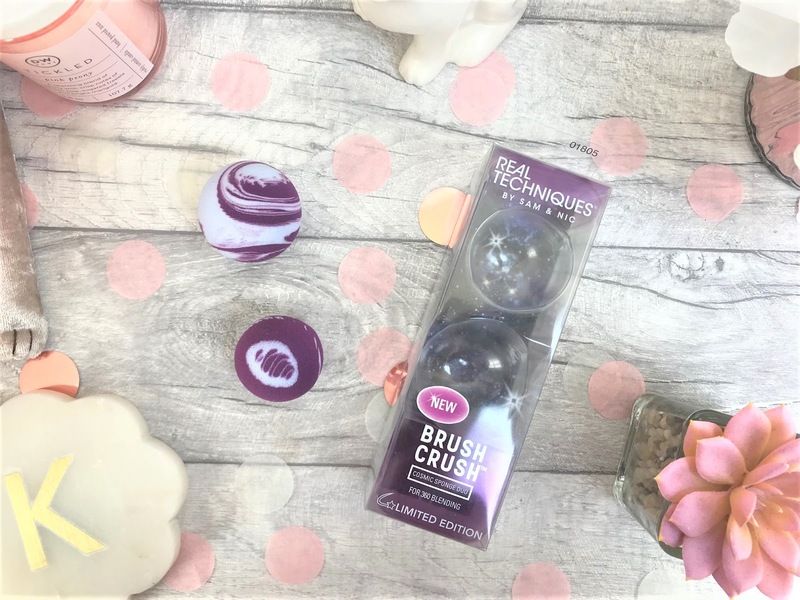 The first brush I have been sent is the Real Techniques Brush Crush Volume 2 Powder Brush (£12.99). 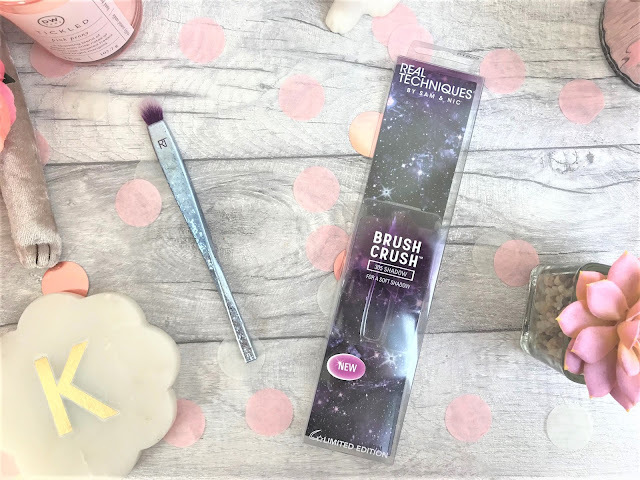 The packaging throughout the collection is space themed and the brush itself has twisted shaped handle which is metallic and shiny, with the brush itself featuring purple with a lighter ombred tip. The Powder Brush is a larger domed brush with a tapered end and is perfect for applying bronzer and setting powder to the face. The bristles are super soft and gentle on the skin, yet pick just the right amount of product up. The second brush I have here is the Real Techniques Brush Crush Volume 2 Fan Brush (£12.99), and again it features a twisted handle, making it easy to grip, and then the most delicate fan-shaped brush. Each and every brush in this collection is super lightweight, making them excellent travel companions and great for popping in a handbag. Fan brushes are created to apply highlighter to the cheeks, the tip of the nose, underneath the brows and on the top of the cupid's bow to add light and dimension to the face. I have used this with both loose powder and pressed powder highlighters, and it applied both beautifully. My final brush is the Real Techniques Brush Crush Volume 2 Shadow Brush (£9.99). This brush has a soft tapered edge which makes applying eye shadow a doddle, and it sits in my crease beautifully. Due to the bristles being so soft, the brush doesn't pull or drag on the delicate eye area, and I get an even coverage when applying the shadow. As mentioned, I have had a lot of brushes from Real Techniques over the years, and the quality is really long-lasting. I use my StylPro Brush Cleaner on them, and they are good as new, so if you are in the market for new makeup brushes, I would highly recommend this brand. When it comes to beauty sponges, my Beauty Blender can often out-do other brands, because I find that some brands' versions are often really hard and so they don't blend out my foundation well enough. 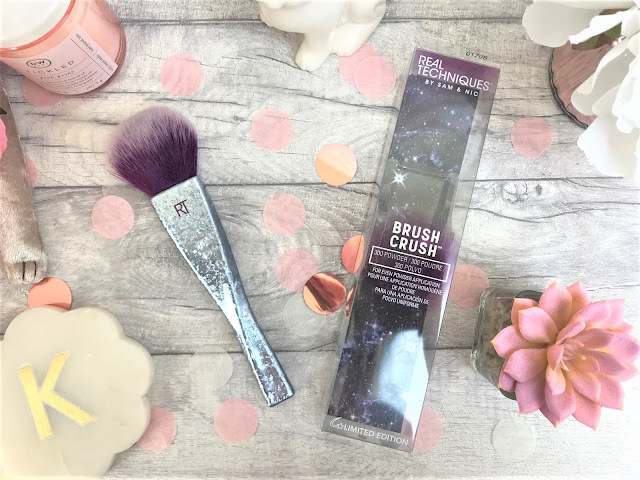 However, the Real Techniques Brush Crush Volume 2 Cosmic Sponge Duo (£9.99) has really surprised me. They feel as soft, if not softer than my Beauty Blender, and the spherical shape make it easy to cover larger or smaller areas. The sponges have a cool, planet-like pattern on them and buff my foundation and concealer into my skin seamlessly. I love how you get a smaller one too, and this is the one I use for my concealer, but I have also applied liquid blush with this too and it worked perfectly. You can find the Real Techniques Brush Crush Volume 2 collection in-store and online at Boots.